Coaching Experience: Charlie was a schoolboy at Chelsea and West Ham and served a scholarship at Reading FC. Charlie went on to study at Loughborough University and after graduating is currently working towards a masters at the highly esteemed University. 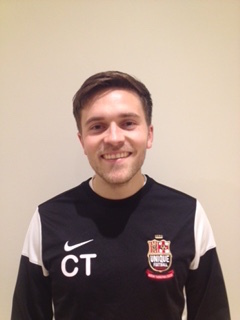 Charlie has previously worked as an academy coach at Tottenham Hotspurs and also fulfilled the role of U18s performance analyst. He currently coaches the young players at Fulham’s Academy overseeing both the U11 and U13 age groups in a unique role, as well as his duties with Unique FA.